Park Hotel is located in Cobán. It’s about a 20-minute drive from Park Hotel to Cobán city proper. Cobán has incredible coffee plantations where you can go on tasting tours. 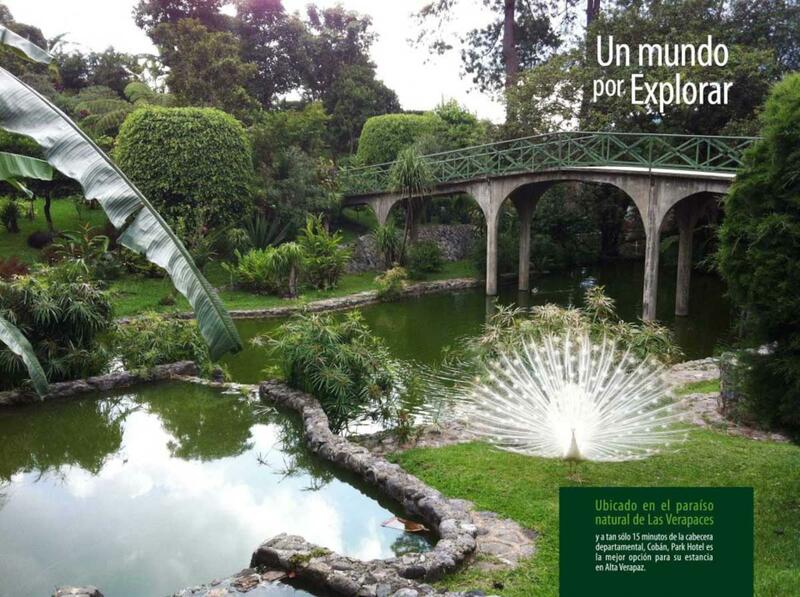 Learn more about the history of the area at the Maya archeological museum, and see some of Guatemala’s flora at the orchid garden. There are 7 different complexes of air-conditioned rooms (Las Casitas, Capri, Milan, Siena, Palermo, Firenze, and Venezia) with a total of 158 rooms. All the rooms and bathrooms are spacious. Rooms have nice views of either the Ponti del Sospiri or gardens.You can access the hotel's free Wi-Fi from any of the rooms. Park Hotel's rooms also come with minibars. Park Hotel's restaurant specializes in Italian cuisine and has a grill and a wood-fired oven. Business travelers can visit the hotel's convention center, which has meeting rooms that can host up to a thousand people. Visitors can also visit the business center, which offers Internet access. On the grounds of the hotel, you'll find a swimming pool heated with solar energy and pleasant gardens. Guests can also visit the hotel's gym and tennis court. Don't worry about your laundry — Park Hotel offers laundry and dry cleaning service.